There is a place to upload your artwork on your order form OR in the special instructions field - tell us what you want printed and we'll send you a proof prior to print! 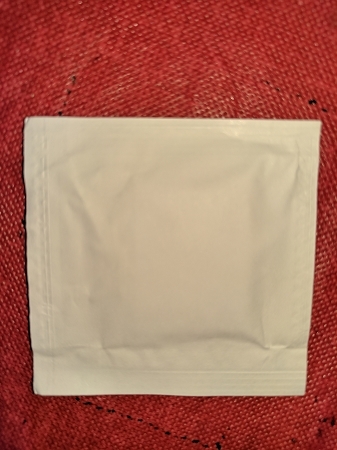 - WN-DR-01 - Your one color line art, logo or text directly imprinted onto wet nap packets. - Imprint area approx 1.2" x 1.2"
- Due to the nature of the fabric, imprint may have the tendency to be uneven. Shaded areas may not completely fill in, small details and fine lines will most likely not print, small detailed areas may fill in. Printed on a hand jig, imprint location may vary. One color imprints only. - Your vector artwork: submit vector file with all text converted to curves/outlines, black ink on white background regardless of imprint color. Line art and solid fills only, no greyscale, no halftone. Simple art is best. - *Pantone numbers listed are approximates, imprint ink coverage, the absorbency of the product and the drying process may change the appearance of an ink color. - Moist towelette packet measures approx 2.0" x 2.0", approx 4" x 7" white wipe folded inside sealed the packet has a light citrus. 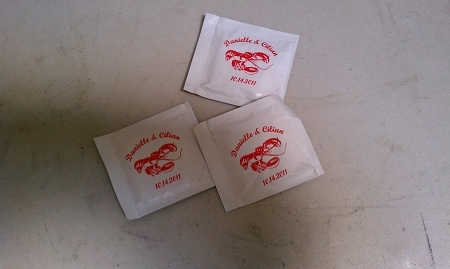 Outer packet only can be printed or labeled, we do not imprint the actual wipe. Size variation does occur. - Minimum for imprinted, labeled or blank - only 100 packets. - Ordering early? Sure! Shelf life is a year+. Store in a cool dry place. - Includes a free email artwork proof. Direct imprint will be black/white. A color virtual email proof $15 upon request, disclaimer regarding color variations from screen to actual item and size/positioning approximates will need to be signed off on prior to processing. - Wet wipe are shipped in bulk, loose packets. You may want to order our white scrap buckets for dispensers. - Random Wet Wipe Sample (specify which type) is always available for inspection prior to final sale purchase of your custom created order, just email your request along with your FED EX or UPS account number. Any concerns must be addressed prior to final sale purchase. - Standard production time is approximately 10 business days from receipt of approved art and prepayment. 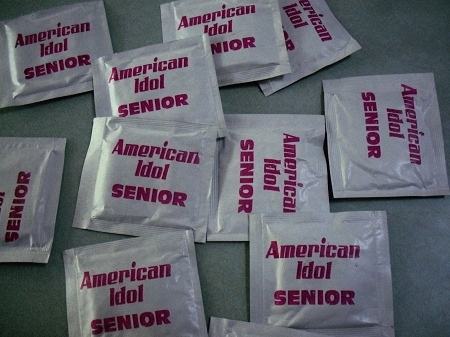 - Stock is never an issue with these personalize wet wipes. They are completely manufactured and printed in the U.S.A. with all U.S.A. inks and supplies. - Bill to third party UPS shipping available, provide account and account billing address $7.50. We do not have daily FED EX pickup, specification of FED EX account may delay shipment. Great to coordinate personalized wet wipes with bibs, seafood mallets, crackers, and other dinner accessories! 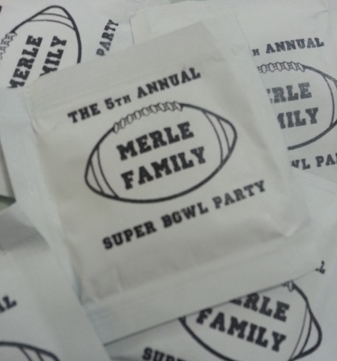 Small quantities are our specialty - great for all parties, product roll-outs and events.